Should The Tigers Extend JD Martinez? While eight other fan bases are still enjoying themselves, the Tigers are planning for 2016 and beyond. They have a lot of work to do if they are planning to contend next year, but it’s not an insurmountable task. One of the issues the Tigers will confront this winter that is a little less urgent is the matter of JD Martinez’s contract situation. Martinez has two years of team control remaining, both of which are currently slated for arbitration. He will likely earn about $8 million in 2016 and something like $12-14 million in 2017. For ease of presentation, let’s say the Tigers will be able to keep Martinez for the next two seasons for $20 million. That’s Martinez’s age 28 and 29 season for $20 million, with him set for free agency at 30. 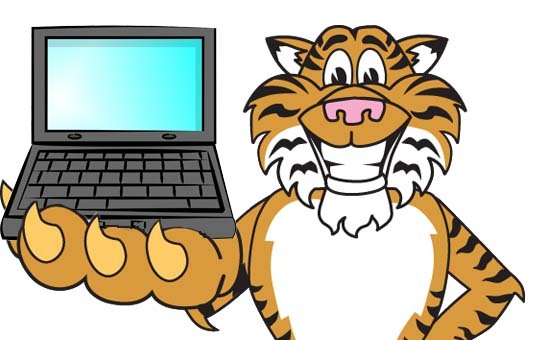 Should the Tigers look to buy out any of those free agent seasons this winter? The first thing we need to do is estimate what it would take to extend Martinez. We’ll start with the 2/$20M we know he has coming. Only very young or extremely good players get deals longer than 7 years, so let’s say the Martinez deal would max out at 7 years, or 5 free agent years. For argument’s sake, call it 3-5 free agent seasons depending on the average annual value of the deal. Martinez has been worth 4 WAR and 5 WAR in his two seasons with the Tigers, and it’s probably safe to say he’s had his best seasons. That’s not to say he’s going to get a lot worse over the next couple seasons, but it’s not likely he’s going to get better. Let’s presume his true talent is a 4 WAR player for 2016. If that’s the case, and we factor in the way players normally age, something like 17.5 WAR would be expected over his next seven seasons. On the free agent market, you’d probably expect to pay $140 million for that kind of player. But of course the Tigers have some leverage, in the sense that Martinez is locked up for the next two years. So what we really care about is what we expect in years 3-7, which might be something like 10 WAR. So that would be about $80 million if you were buying that level of player on the free agent market. Keep in mind we are talking about 2018-2022. Martinez is a better player than that right now, but you don’t sign players for long term deals based on their current quality. So if you add 2/$20M and 5/$80, you wind up with a 7 year, $100 million extension for Martinez. If you only want to go the 5 year route, you can probably get away with a 5 year, $80 million deal. In my head, I was kind of expecting 5/$75M, so I’m happy to see the math worked out so nicely. I would argue that Martinez is probably an easier player to sign than most players of his quality because his success is rather new and that will lead him to be risk averse. I don’t know that for a fact, it’s just an inference. Martinez has only made about $5 million in his career and even after this year’s arbitration award, he hasn’t made the kind of money that sets up one’s grandchildren for life. Given how close he was to never getting the big paycheck, it seems reasonable that he would be more risk averse. So let’s focus on the 5/$80M version of the offer. Presumably 7-year version wouldn’t be that much more interesting to either side because it’s not a lot more money for Martinez and it’s very far in the future, so the Tigers won’t really care a lot. It’s easier to analyze a single scenario, so let’s call it 5/$80M (but keep the 7/$100M in your mind). Given that we have some framework for what the deal would be, the question we need to ask now is if the Tigers should do it? Can the Tigers expected to get $60 million of value from Martinez’s age 30-32 seasons? On the face of it, that seems like an obvious proposition given the season he just had, but players age. If you could guarantee a repeat of 2015 for the next five years, life would be very different indeed. I would argue that while Martinez’s lack of success prior to 2014 is a bit of concern, watching two years of Martinez as a bona fide slugger has been enough to assure me it wasn’t a fluke. It’s very possible that he ages poorly, but I’m beyond the point of worrying his success has been a mirage. So let’s try to figure out how Martinez will age. To do so, let’s look at the players who were somewhat similar to him during their age 26-27 seasons from 2000-2010. There were 134 qualifying 26-27 seasons during that window. Martinez had a 144 wRC+ during his two seasons, so let’s look only at hitters who were between 135 and 155. That leaves us with 12 players. That’s a good number for this analysis, but it’s also worth cutting out one additional player – Alex Rodriguez – who played premium defense during those years. Even if you like JD’s glove in RF (I do), a solid corner man is not the same as a very good shortstop. So that leaves us with 11 players who had their ages 26-27 seasons between 2000 and 2010. None of them are perfect comparisons for JD, but they are the guys who hit about as well as he did for those seasons and did so without being a great glove man as well. How did the same group do in their ages 28-29 seasons and then 30-32 seasons? There’s plenty happening in this table, but allow me to summarize. The group averages about 10 WAR during ages 26-27 with the range being 6.6 to 12.7. JD sits around 9 WAR and has a wRC+ in the middle at 144. The same group averages 7.2 WAR from ages 28-29 with a range of 0.9 WAR to 11.3 WAR. On average, the bats decline by about 8-10 points of wRC+. Then in the 30-32 window, we find an average WAR of 9.1, ranging from 1.6 to 16.6. Again the average wRC+ declines, but only about 5-7 points from this step down. In other words, it would be a reasonable expectation to say that Martinez will be worth around 9 wins from age 30 to 32. And given that we’re only looking for about 7.5 WAR of value for those seasons, this seems like a solid bet. But it is a little more complicated. First, you might wind up with Nick Johnson or Ryan Howard. You can’t simply look at the mean and median, you want to look at the range of possible outcomes. If Martinez were to hit the low value, you’re down about $50 million. If he hits the high mark you’re up about $70 million. The degree to which you like those odds depends entirely on your risk aversion. There’s one more factor that I always implore teams to consider. It’s why I advocated strongly against the Cabrera extension. It’s not about whether it’s a good deal today, it’s about whether you could get a better deal later. The thing you really want to consider is how much Martinez would cost you if he has the best case scenario over the next two years. So let’s play that out. The highwater mark is about 11 WAR, and that makes sense. It’s basically back to back 5.5 WAR years. If Martinez does this, the Tigers will be super happy because they’re going to get about $90 million in value for $20 million, but it will also add to his price come free agency. Let’s say he does that and is coming off four very good seasons and hits the market at age 30. For argument’s sake, let’s call it a 5-year deal. That’s probably going to cost you $160 million plus inflation. So you have three options. First, you can do nothing and not re-sign him. you pay $20 million for two years and walk away with plenty of bang for your buck. Second, you extend him now for 5/$80M or 7/$100M. Third, you pay $20 million and then sign him as a free agent for 5/$160M (i.e. 7/$180M). This is all assuming JD hits his best case scenario. If he hits that scenario, you’re risking something like $80M to $100M. That’s a lot! But what if you sign the deal and he hits the worst case scenario? What if he’s only worth 2 WAR and you’ve paid him $60M or $80M? That’s a loss of $50M to $70M. Your decision to offer an extension to Martinez comes down to a very simple thing; how good do you think JD will be over the next two seasons? If you think he’s a 5 WAR player in each of the next two years, you definitely want to sign him not. If you think he’s crashing and burning, obviously you don’t. So what’s the breakeven point? That is the single most important piece of information. In essence, what performance over the next two years would yield a 5/$80M deal from 2018 forward? Essentially, you have to think he’s going to be a 3.5 WAR guy over each of the next couple of years. The odds say that is pretty likely. There’s a good chance that Martinez will be good enough for the next two years to warrant a contract that will exceed what you could get him for this winter. But I’m not sure it’s a slam dunk case. If JD Martinez came to the Tigers and said he’d sign a 5/$80M or 7/$100M extension, I would still balk. I think that’s the highest I want to go. Martinez is a very good player but they already have two seasons of team control in hand and players can change a lot over the next two seasons. And they can especially change a lot over five and seven seasons. Personally, I would rather risk him getting even more expensive in two years than commit to a huge extension right now. Miguel Cabrera is locked up long term, which means there is no DH spot to transition to if JD loses a step in the outfield, and his high strikeout rate and unimpressive walk rate suggest that if he loses a bit of bat speed, he could really crater. I’m not suggesting he’s due for a collapse, but I’m not so sure he’s a safe bet to keep being great for this long. I have a hard time believing that Martinez is going to put together two more huge seasons. A couple of 3 win seasons seem more likely, and then you can make the decision with more information without any of the risk in two years. Again, this is a risk aversion question. I’m very risk averse so it informs my thinking here. I think signing Martinez to an extension will probably be fine. Even if he ages a little worse than average, you’re not going to lose much money. But I also don’t think there’s a ton of savings coming if you sign the deal today and it comes with plenty of risk. I’m thrilled to see Martinez on the Tigers for the next two seasons, but the way I read the market, the deal he would accept today is not team friendly enough to warrant the risk for the club. So I would recommend against it, but this is a 60/40 kind of thing. 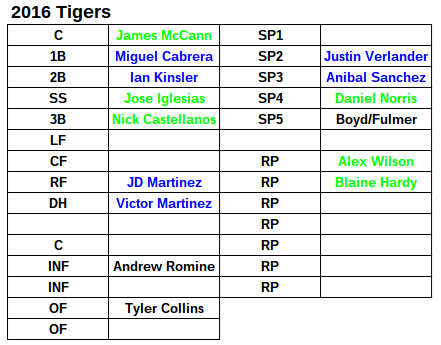 I’m not strongly against it, but the last two mega-deals the Tigers signed have been mistakes. Not because Verlander and Cabrera are useless, but because the Tigers could have signed them for less if they had waited. It’s rare for players of this age and caliber to get better, and if you wait for them to have a slightly worse year, you can save some cash and you still haven’t lost them for good. You also retain the option of trading the player for prospects if you’re terrible. So I’ll come down against a contract extension and recommend they spend their time and resources on improving the club with outside players. They have two great years of Martinez for next to nothing. The Tigers should benefit from those and revisit the relationship when Martinez is reaching free agency.